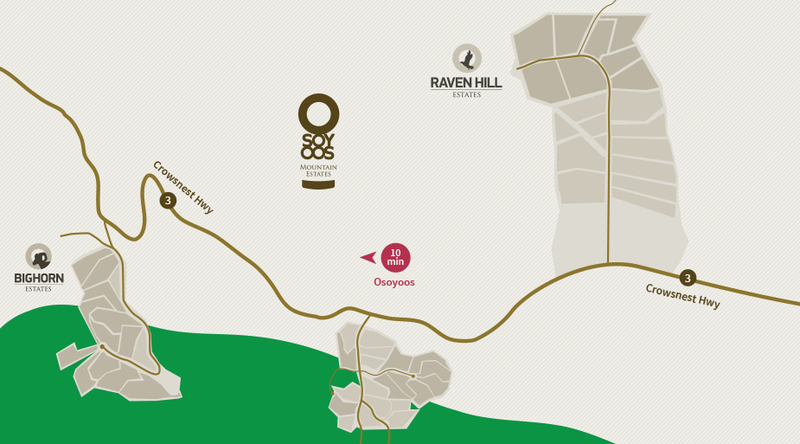 Osoyoos Mountain Estates is currently developing two subdivisions - Raven Hill and Bighorn. Each subdivision at Osoyoos Mountain Estates boasts exclusive, secluded lots and unique features, ranging from stunning lake views to peaceful vistas of the Okanagan Valley. All subdivisions are located in close proximity to the area's many walking/hiking/biking trails and are just minutes away from the shores of Osoyoos Lake. Downtown Osoyoos is a short, ten-minute drive away and is the hub for local activities that will appeal to all members of the family. Find your place to live, love…and call home. Osoyoos Mountain Estates.